My goldfinches had a problem last weekend. We were out of niger seed. And out of millet for my buntings! Time for a trip to Wild Birds Unlimited, and on my way, I stopped at PEAR Park in Leesburg to check it out. I’d read that it was good for sparrows. It was a foggy morning, and I didn’t stay for long, but I will definitely be going back. 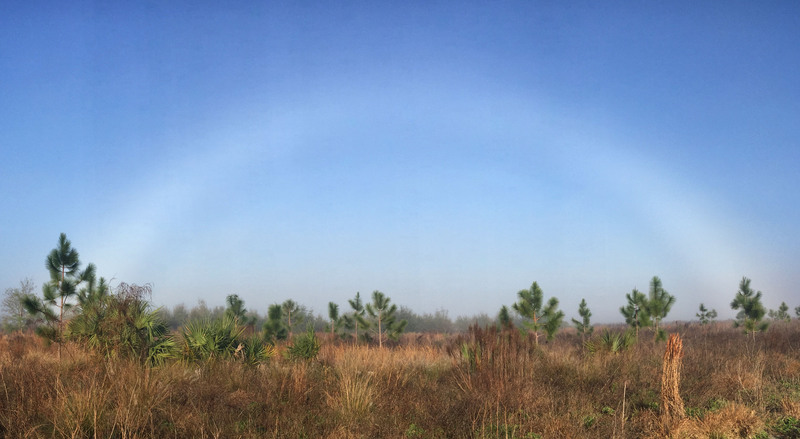 Have you ever seen a fog bow? It’s like a rainbow, but in the fog. A fog bow greeted me as I drove into PEAR Park. 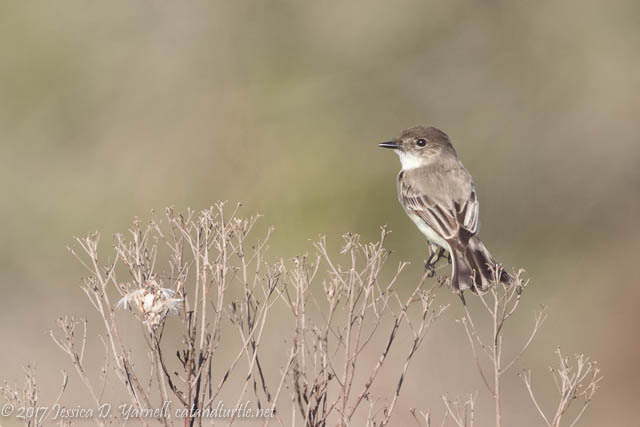 I took it as a good sign for the birding opportunities to be found there! PEAR Park is pure Florida. Scrub habitat. Think bluebirds, kestrels, and sparrows. I had a great time meandering around. Best of all, there were so few people there! My second Grasshopper Sparrow this month! Actually, I saw at least three Grasshopper Sparrows. Not bad, huh? 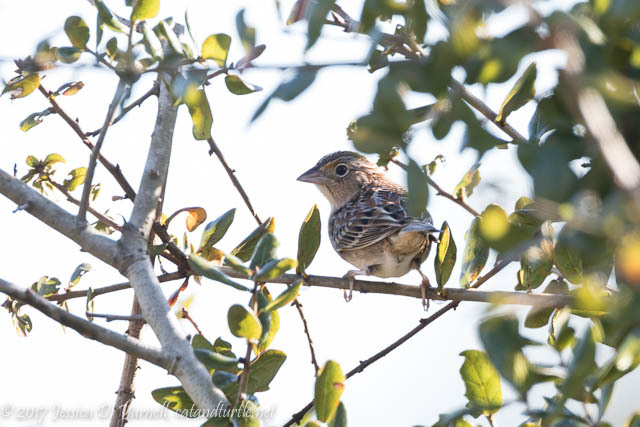 There were plenty of Savannah Sparrows also. 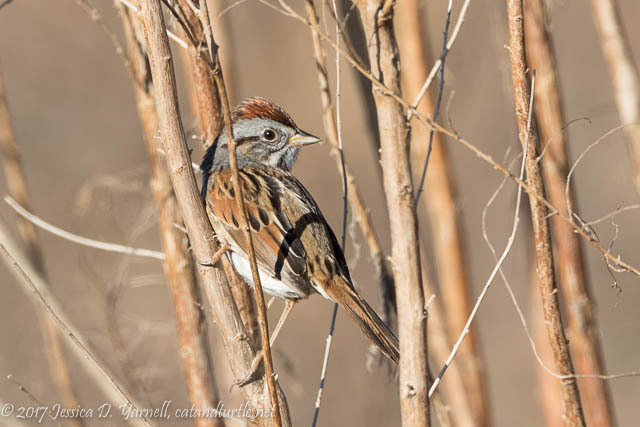 I know there are Vesper Sparrows there also, but none wanted to pose. …and I found a couple of singing White-eyed Vireos, too. You know it’s starting to be spring as you hear the birds starting to sing. Apparently the birds didn’t get the Groundhog Day memo from Punxsutawney Phil. It’s an early spring in Florida! Caw, caw went the crows. But the best bird of the morning was also the most cooperative. 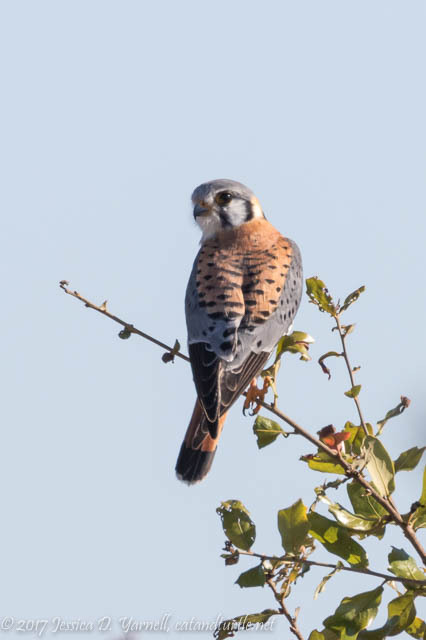 This American Kestrel flew in to a nearby tree and let me photograph him. Repeatedly. 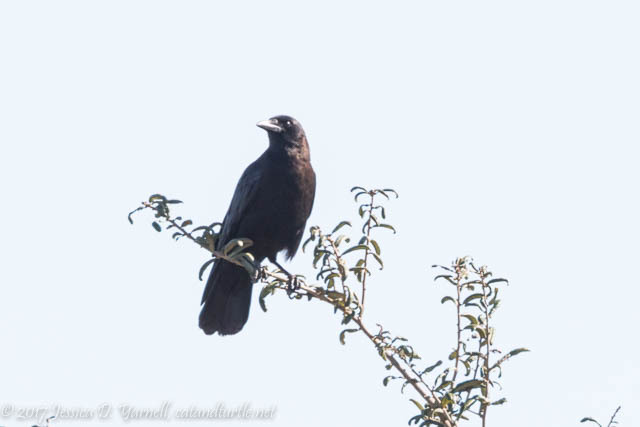 ⟵Will Fly For Food: Snail Kites in Apple Snail Paradise! Let me know if you’ll be up in our neck of the woods. You would enjoy the Apopka Wildlife Drive!